In this chapter we shall take the first step toward introducing interactions into the many body system. The study of particle-particle interactions will be deferred until the next chapter, while here we investigate some aspects of particle-field interactions. Essentially, the model is that of otherwise-free particles in the presence of external fields. 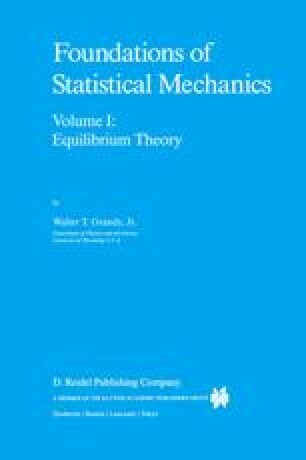 Application of such fields often connotes a scenario in which the system is driven from equilibrium. This is certainly the case for time-dependent perturbing fields, but their study will not be taken up until Volume II. Here the system is presumed to remain in thermal equilibrium.